1. Pick a neutral, serene colour palette. It creates a calming effect and a limited colour scheme makes a small space feel larger. 2. Ensure your guests sleep well by investing in quality bed linen and AMERICAN shutters or blinds. 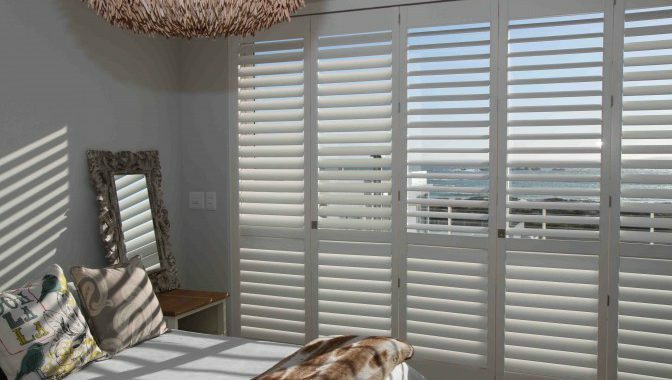 Our shutters and blinds have the tightest louvre closure which allows your guests to sleep-in without being disturbed by the bright morning sun. 4. One of the quickest ways to add vibrant, welcoming colour to any room is with a vase of fresh flowers or a gorgeous green houseplant. 5. Provide your guest with soft bath towels and basic toiletries. You could even create a ‘spa hamper’ for an extra special personal touch. For more home décor inspiration, follow us on Facebook and Twitter.